Tee-Ball registration is now open! Be sure to get your 5 or 6-year-old signed up early to guarantee their spot. 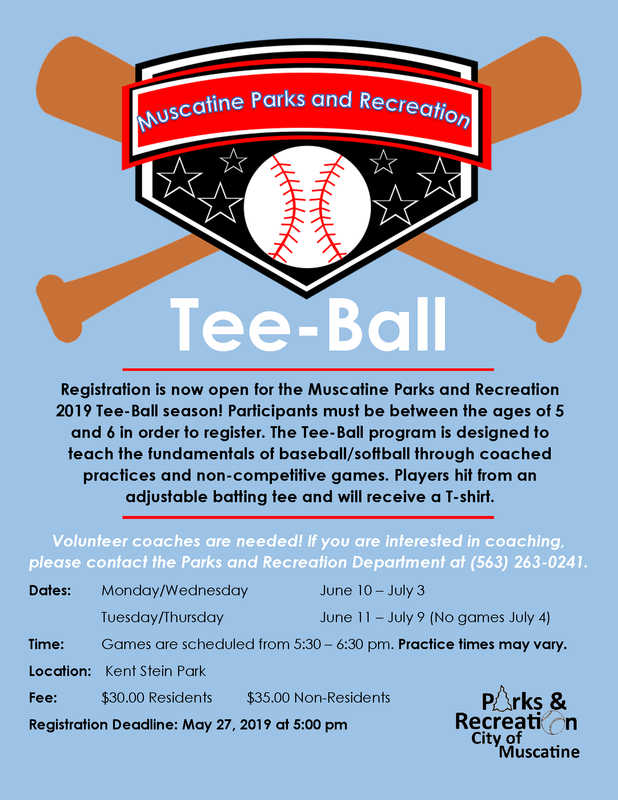 Register at the Muscatine Parks and Recreation Department office, over the phone at (563) 263-0241, or online at https://apm.activecommunities.com/muscatine/Home. Volunteer coaches are needed! If you are interested in coaching a tee-ball team, please contact the Parks and Recreation Department at (563) 263-0241.